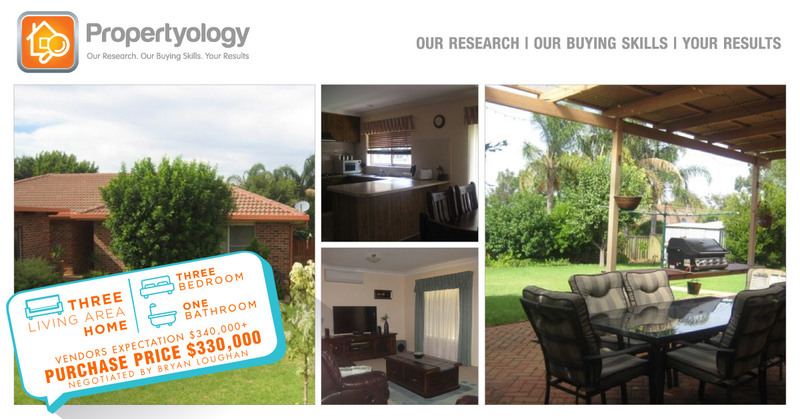 This is the first property that Propertyology have assisted our wonderful Brisbane based clients Rod and Karen acquire. Even though Rod and Karen weren’t new to investing, having bought and sold several properties over the last few years, they first contacted Propertyology mid last year with a bigger goal in mind. Whilst they knew in their minds that at some point in the future they wanted to retire and not be reliant on the government funded pension, they realised that to truly build wealth through property, they needed goals and structure. They needed a strategic property investment plan which would assist in making the capital and cashflow they had available to them today, work as hard as possible for them over the next 10 to 15 years. Understanding the importance of their financial future, Rod and Karen took two separate days out of their busy work schedules to come to our office and meet with our team. Our qualified property investment specialists worked closely with Rod and Karen initially to work out exactly what it was they wanted to achieve. What did retirement look like to them? After a very detailed discussion and some extensive financial modelling, Rod and Karen now have a structured plan in place which will see them acquire a total of 5 properties over the next 8 years. There is also provision in their investment strategy to purchase a new car and caravan so they can do what they want to do in retirement – travel around Australia!! Even though this property has only recently settled, our finance team are already working closely with Rod and Karen to start arranging appropriate pre-approval for their next acquisition. We have said it to you before, but congratulations again Rod and Karen. Your goal of being financially secure and being able to travel around Australia is that much closer to becoming reality!